You know just about everything there is to know about running your business, right? From how your products change lives to the process it takes to get your products into your clients hands. Well, almost. You know how to physically get your products to your clients, but as far as getting them to know how badly they need your products…that’s a little iffy, am I right? Since you’re a wizened business owner and modern entrepreneur, though, you know you need to hire a copywriter who will make the marketing and sales process easy and painless for you and your audience – and supercharge those sales. 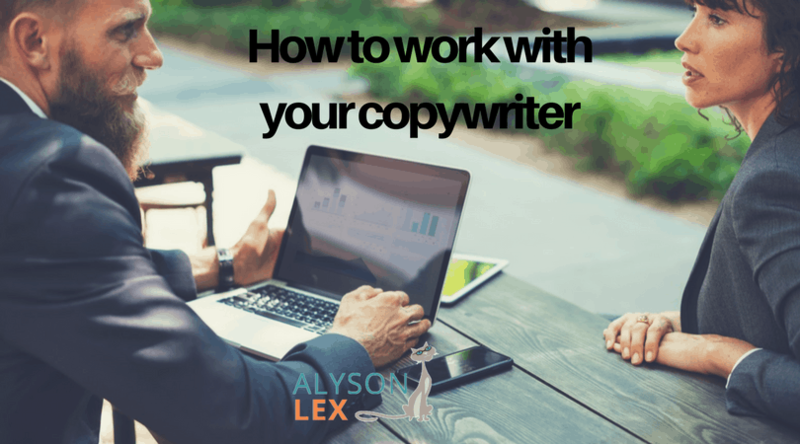 Finding an amazing copywriter isn’t the end of the project for you, though – you’ll have to work with your copywriter to make sure that your message is heard, your branding is followed, and the copy that’s produced has great sales results. If step zero is finding the copywriter, then step one is signing paperwork and setting up a timeline. Depending on the experience of the copywriter, the paperwork might be provided by you or it could be provided by the writer (for what it’s worth – I provide the project outline/contract for you that details all the need-to-know stuff.) Now is the time to examine all of the terms and conditions of the contract and talk everything out with your copywriter so that you both understand exactly how working together will be. Fees – this is the price you’re paying for services all-in. copyright information, which states who will legally own the writing once it is completed and final payment has been made (for what it’s worth – once I’m paid, you own the copy 100%). My contract also includes a bit of a narrative of the project – what we want to accomplish, some thoughts about how we’ll get there, and a general direction for the copy. This will all be based on our pre-contract conversation and its job is to make sure that we’re both on the same page BEFORE I begin work. This will reduce the time we spend on later steps of the project. 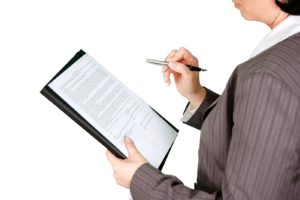 Before you sign any contract, you have to be sure that you both understand and agree with the terms. If you don’t fully understand the document on your own, you should work with an attorney to ensure that you do, in fact, agree with the terms. The timeline should have been discussed when you first contacted the copywriter, but it’s important to have every aspect of your working relationship in writing before beginning, so feel free to write a document detailing the timeline, too. This can include when and how you’ll deliver the information that the copywriter needs, like branding and voice information, graphics, and product information; as well as when the copywriter will provide first drafts, edits, and the final product. As part of the timeline discussion, you should talk about how the copywriter wants to be contacted during the working relationship, and how you want to be contacted as well. This includes how long either of you should expect to wait for an answer to an email or a phone message. This first round of discussions is also the time to talk about how the copywriter wants to be paid, and get their information to pay them. Some writers will invoice you, providing payment options like credit or debit cards. Others accept personal or business checks. And still other copywriters prefer online software like PayPal. There isn’t a better or worse choice when it comes to paying the copywriter; each platform has its benefits and risks. Just be sure you understand any payment processing fees you’ll incur in whichever payment method you agree to. Many copywriters (myself included) require a deposit to begin work. Some even require the full up-front fee before they’ll get started. Make sure you’re comfortable with this part of the payment structure, too. After all of the paperwork is completed and signed by both parties, the fun can begin! To help your copywriter best, send past samples of similar work, samples that illustrate your branding and voice, and clear objectives for the project at hand. You can decide whether you want to send this over in one e-mail or through many e-mails (your copywriter absolutely will have a preference) – my clients like that they can send me information as they find it and let me sift through to find the copy gold. A Note About Objectives: This is one place that business owners and entrepreneurs often are more confused about. There’s no need to give your copywriter an exact word count required or “reminders” about what a sales page is. Similarly, an objective like: brings in exactly seven new customers and $12,480 in sales revenue might be a tad difficult to achieve. A good objective is clear but flexible: showing a range of sales revenue that would be considered “great” and another that would be considered “meets objectives” or a flexible goal for the number of qualified leads. A phone call during this stage of working together can be immeasurably helpful, allowing you and your copywriter to exchange ideas quickly and brainstorm together. Not every copywriter will be up for a call, though, and some may charge extra for a phone call strategy session. Hopefully this was covered in your contract so you’re prepared either way. Here’s the most difficult step of working with a copywriter. Once you have shared your information with the copywriter and they have a clear understanding of the project, leave them alone. I think this is the step that might need to be communicated a little…firmly…for those who have the most trouble with it, or for those who think that micromanaging is a sign of happy engagement. Hiring a copywriting was a brilliant decision, one that I’m sure will be amazing for business. In order to help make it great, you have to get out of the copywriter’s way and allow them to write without you breathing down their neck. Oftentimes, this means you won’t hear from them for a week. Or two. And that’s totally okay. Sometimes, they’re not even working on your project for a week. And that’s totally okay, too. Because even when copywriters aren’t actively writing for you, they’re brainstorming. Researching. Thinking about your project. As artists, copywriters need time to marinate on the ideas they have about your project so that their brilliance can shine through. After they have time to think about the project, they need time to write and rewrite before they present their first draft to you. If they’re answering two emails a day from you, that brilliance is capped, and your project will suffer. Okay, I know I just talked about the brilliance of a copywriter, and now I’m going to say something more disappointing. Just hang in there with me. When your copywriter gives you your first draft, it’s entirely possible that you won’t like it. Maybe the one is a bit off-key, or maybe the message isn’t as sparkling as you’d like. You’ll start to question your decision to hire the copywriter. You’ll think that you could have just written this yourself. You might be angry. Take a breath, because this, too, shall pass. The first draft is like your baby’s first step. It’s shaky and wobbly, getting the job of moving yourself forward done, but maybe not as brilliantly as someone who’s been walking for years. This isn’t actually a reflection on the copywriter’s skill or ability to master your voice. It’s just the first step. And here’s the thing: while we all (myself included) strive for 100% satisfaction in round one… the truth is that it just doesn’t happen until we’ve got a steady working relationship built. It takes time to learn your specifics. That’s time I’m committing to your project and why I include (unlimited) edits with every single project I do. This first draft isn’t a deliverable; it’s a living document that gives you and your copywriter a solid base to work from. You can suggest edits, tell them what touches you and what doesn’t, and ask for clarification. So can your copywriter. The absolute best action you can take during the first draft step is to communicate with your copywriter. Communicate clearly, calmly, and helpfully. Acknowledge that this is a first draft, and that the progress has begun. Use it as a base from which your final, amazing, beautiful piece of copy will emerge. Depending on the timeline you and your copywriter agreed to, including the number of edits that were a part of the contract, you’ll now enter a time of editing, where you and your writer will share feedback and brainstorm some more. Have patience. This is where the gold is spun. The day you’ve been waiting for! After all of the edits are in, your final project will be delivered on time, and your heart will stop (only for a second!) at its sheer beauty. After all of the work put into the project, I’m sure it will be everything you hoped for. Now’s the time to wrap up the project, paying the final payment and providing feedback to the writer about the project. If you loved working with the copywriter, a great tip is to offer a testimonial for their website or personal use. And once you have some results rolling in from the project, be sure to update the copywriter, letting them know the goals the project has hit and the stats it is showing. 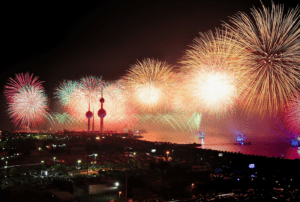 Copywriters can use this information when discussing new projects with new copywriters. If you loved working with your copywriter, consider keeping them on retainer. This will allow you access to high-quality writing every month so that your results never stop. And if you’re interested in discovering how we can work together to create some real results in your business, schedule a quick call with me and let’s see if we’re a fit!